To know Mila’s products is to know Mila. 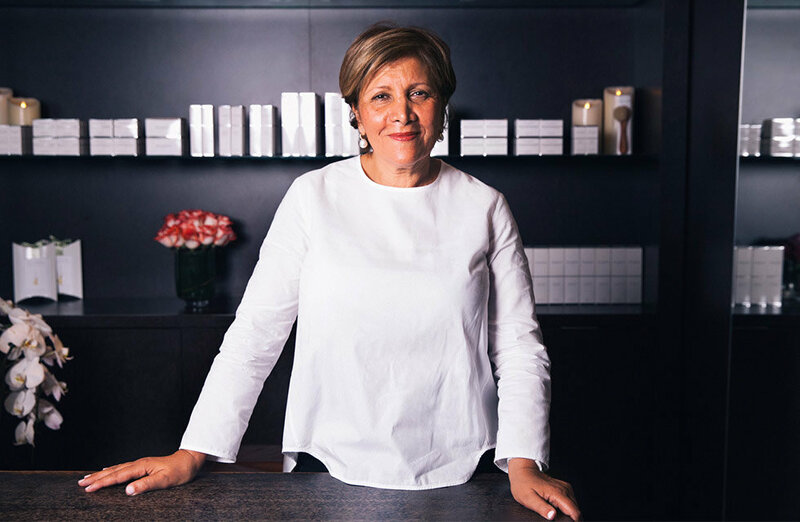 30 years after founding her spa in a discreet space in West Hollywood, Mila Moursi works every day of the week on her devoted clientele. Though she won’t tell you personally, Jennifer Aniston, Sandra Bullock, Bianca Brandolini, and Rashida Jones (to name just a few) owe their gorgeous skin to her. No fan of quick fixes, Mila’s approach to skin care is about commitment, discipline, and prevention. Though she doesn’t advertise, her legendary products and treatments have garnered a dedicated global following. 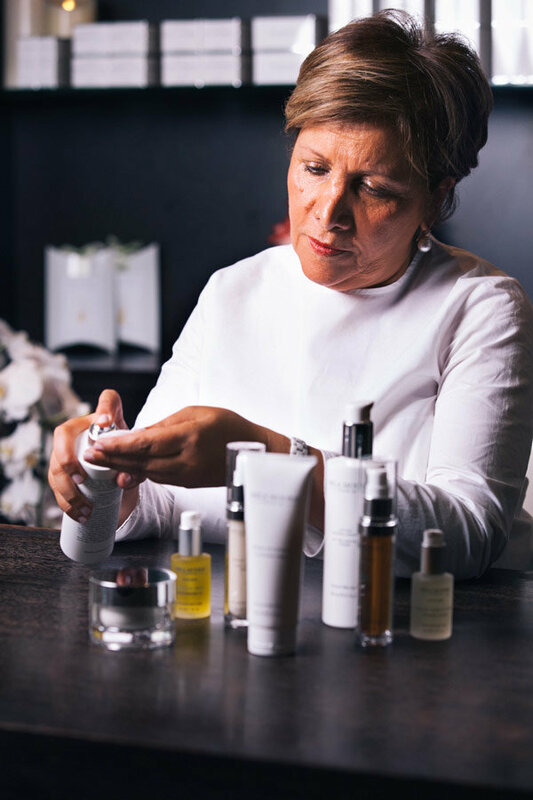 To celebrate the introduction of her eponymous skin care line to the Beautylish shelves, we sat down with Mila to talk about the philosophy that informs her artful approach to beautiful skin. Beautylish: Where are you from and when did you decide to come to the states? Mila Moursi: I grew up in Paris. I have French/Algerian heritage. I moved with my husband in 1973 to Detroit, Michigan for his work. I loved the melting pot that is the US and how open-minded everyone is in this country. Everyone is a mix of all cultures and backgrounds, and we all embrace this. Was there something about L.A. you were particularly drawn to? I moved to LA in 1979. First of all, the weather was much better than in the Midwest! LA was an exciting new place because people were so open to new ideas, and there was a strong awareness of healthy living and well-being. Not to mention the beauty of the city and the luxurious, more cosmopolitan nature! My influence came at an early age. My grandmother in Paris was an avid gardener. I grew up surrounded by herbs, flowers, and plants that were not only beautiful but also medicinal. For example, the fresh apricots and figs that we would eat would be made into preserves; the petals from the roses we enjoyed were then infused to create a face toner; mint would be placed in a decanter for our daily fresh mint water; verbena would be infused to help us sleep better; homemade yogurt for probiotic properties and as a face mask, etc. My grandmother also advocated the benefits of communing with nature for its beautification properties. This influenced me to pursue a career that allowed my curiosity about natural remedies to blend with my fascination with textures and smells. 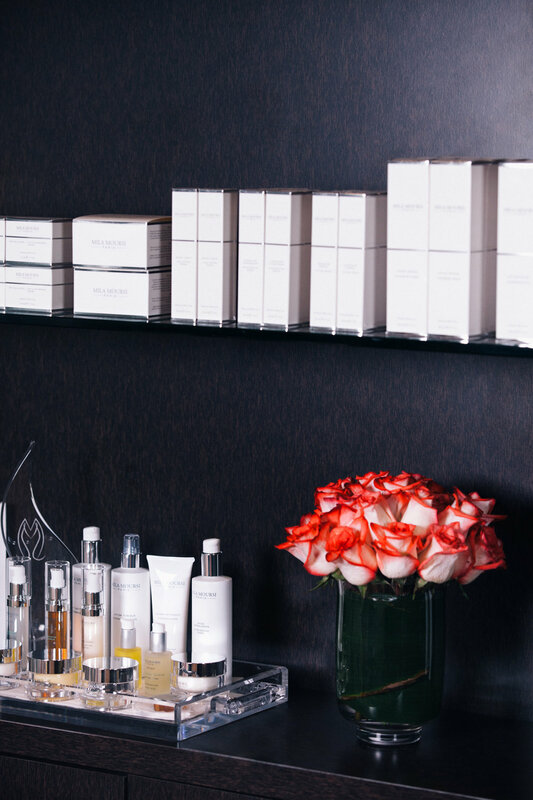 Can you describe how you become a master aesthetician? 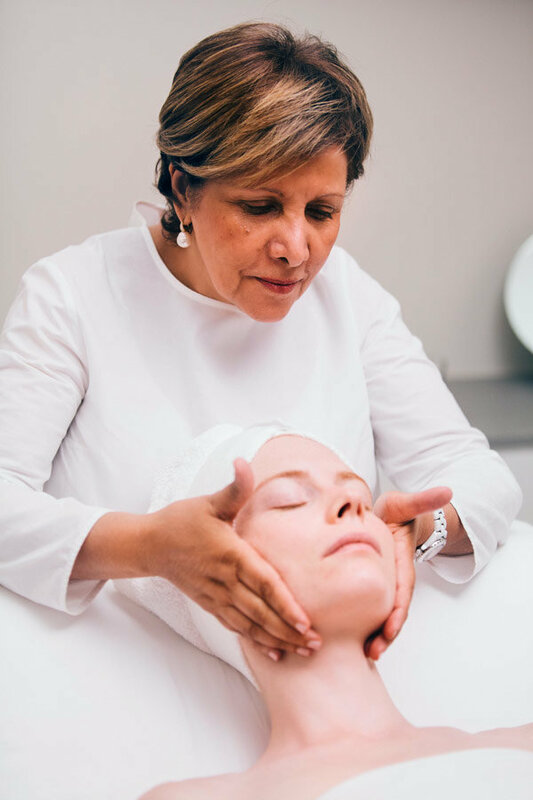 In Europe, you are required to first complete a three-to-four-year advanced education program to become an aesthetician—it's like a Bachelor's Degree. I also went to a specialty hydrotherapy school in England. I taught skin care for a year back in France, and then I decided to study cosmetic chemistry. I studied under the influential Dr. Renaud in Paris, where I did a lot of benchwork in the lab so that I had a strong understanding of how to create formulas. Ultimately, I decided that I was more curious about the brand development and philosophy side of skin care, so I expanded into this niche of the industry. 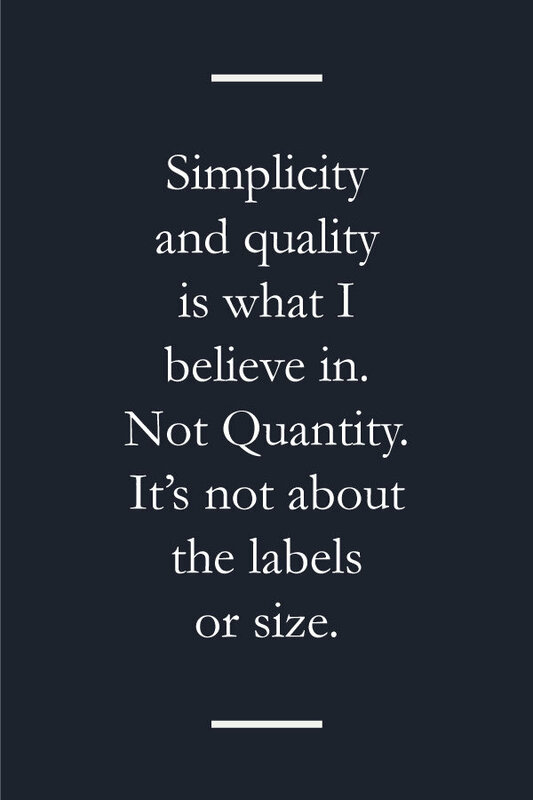 What distinguishes your method from everyone else's? I am very open to always learning and incorporating new techniques into my treatments and new ingredients into my formulas. My eyes are always open, and I am very intrigued by different cultures around the world so that I may add new elements into my products. What difference exists between French and American approaches to skin? The French are very much about preventative skin care. 80% is about graceful aging and 20% is corrective. We believe in a blend of treatments and at-home discipline while adding in natural remedies to the product regimen. The French are not really fans of quick fixes. The American approach is more focused on quick fixes and correctives, but I do feel that there has been movement recently towards more natural and preventative skin care overall. How did you discover that your method and products were different and more effective than others? I don't believe in miracles. 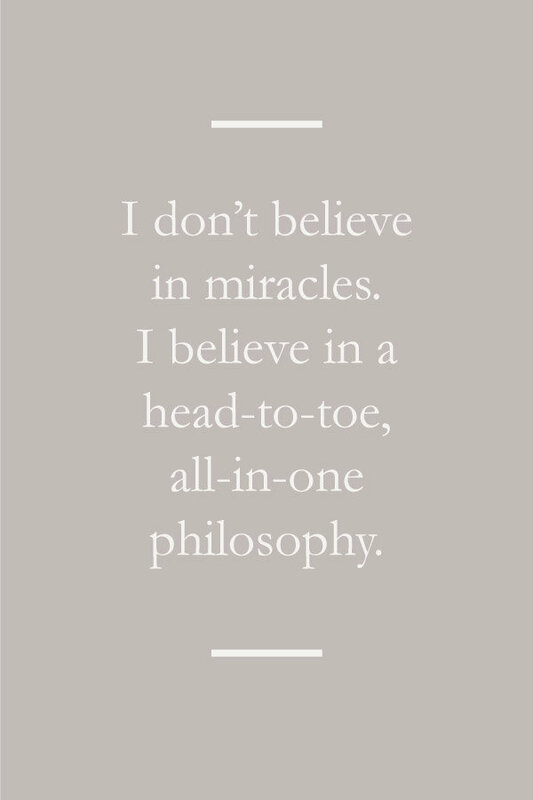 I believe in a head-to-toe, all-in-one philosophy. With treatments, I utilize natural techniques along with manual work that re-educates the muscles. My formulas are time-tested and layer really well for a customized regimen. Tell me about your star ingredients? All my ingredients are stars! What makes my products unique is the patented Mila Moursi complex at the base. We use high-quality actives—natural and organic as much as possible—as well as peptides, essential oils, plant and flower extracts, amino acids, and proteins. Tell me about the importance of application. Consistency is important. You must adopt a daily AM/PM regimen for your skin type. Every step is important. It's about cleansing, toning, texturizing, and nourishing. When cleansing, don't rush! Use warm water and a wash cloth, and finish with a splash of cold water. Tone with as many cotton pads as needed until they wipe clean, as residue often remains on the skin after cleansing. When applying serums, it's important to tap them onto the skin (as if you are playing piano) to bring blood to the surface and to stimulate the actives in the product for maximum penetration. Tell me about the importance of consistency. What happens if you truly approach your skin care consistently? It's all about the regimen! The PM regimen is the most important, as our skin is exposed throughout the day to free radicals, dirt, sunscreen, makeup, etc. You must cleanse and then tone to re-balance the skin’s pH. Texturize at night to clean out pores, which will enable other nourishing products to work more effectively instead of sitting on top of the skin. You are known for your persuasive lifestyle advice. What is your favorite bit of advice? Why is lifestyle just as important as what you put on your skin? Beauty and well-being start from the inside. The inner and outer must act in synergy. If you are religious with your regimen but fill your body with excess sugar, you are countering the effects of your products. If you don't drink enough water, you are not nourishing tissue from the inside. Negative or stressed people will age faster no matter how many fine products and treatments they employ. Why have you kept your practice deliberately intimate and discreet? When I first opened, I had a large spa with over ten therapists which specialized in anti-aging. I then saw an opportunity to expand into high-end, specialty treatments and create a smaller, more discreet boutique spa. Early on, I did have many celebs come to me by word-of-mouth. Many celebrities asked that I sign nondisclosure agreements for the treatments and products that they received. I currently would love to move to a larger spa space, but my clients won't let me. They continue to love the intimate, discreet space where they can relax and feel at home with all of our personalized touches.